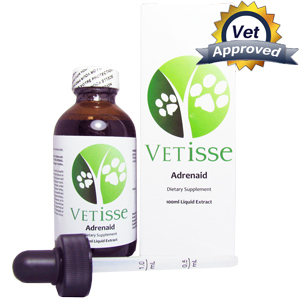 Adrenaid is used to maintain and improve the health and functioning of the adrenal glands. The glands are part of the endocrine system and release three hormones (cortisol, aldosterone, and epinephrine/adrenaline) on a regular basis to promote normal functioning. The adrenal glands are two glands located on top of each of kidney in humans and in dogs. Sometimes there are diseases which affect the adrenal gland and cause these hormones to be released in abnormal amounts. As a pet owner you should administer 1/2 tbsp of Adrenaid to your pet three times a day in order return them to their healthy selves. Do not use Adrenaid if your pet is pregnant or lactating, and do not give to your pet if they are under 2kgs. Be sure to notify your veterinarian if your pet is using any supplementation or medications, to ensure this remedy is right for your pet. Stop using Adrenaid if your pet experiences nausea, vomiting, diarrhea or any gastrointestinal pain. 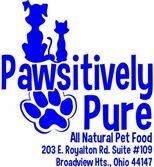 Also cease to use this product if it causes skin allergies or irritation to your pet. This product may affect your pets colorimetric and potassium tests. Monitor your pets blood glucose levels as it may be affected.